The youthful, female brow typically lies slightly above the upper brow bone, while the youthful, male brow typically lies right at the level of the upper brow bone. When we age, our brows may sag, giving a heavier looking brow and a tired or angry appearance. A brow lift is a surgical procedure that addresses the descent of the eyebrow that occurs with age. This procedure seeks to restore the normal position of the brow for a more youthful, rejuvenated appearance. A brow lift, or forehead lift, surgery is a procedure that raises the brow position using incisions well hidden in the hairline. Our surgeons can perform a brow lift in several different ways. An open brow lift, or subcutaneous brow lift, uses incisions slightly into the hairline to lift the forehead skin, pulling up the brow and smoothing the wrinkles in the forehead. The excess skin is trimmed, and the incisions are closed with sutures and clips. An open brow lift can be performed under local anesthesia or under general anesthesia. Your plastic surgeon will discuss these options with you to determine which type of anesthesia is best for you during your brow lift procedure. An endoscopic brow lift uses several small incisions in the hairline to place an endoscopic camera that assists with lifting the forehead skin and dividing some of the muscles that cause forehead and glabella wrinkles. The forehead and brow are then raised and tacked into a higher, more youthful position. An endoscopic brow lift is performed under general anesthesia. Our surgeons will discuss the different surgical options for this procedure including endoscopic and open approaches at the time of your consultation. Why do you want a Brow Lift in Houston, Texas? A brow lift helps restore a youthful brow position along with decreasing wrinkles and frown lines in the forehead. This procedure can help patients who have a tired, heavy look around their brows and eyes. The goal is a more refreshed, awake appearance. Who is a good candidate for a Brow Lift in Houston, Texas? Good patients for a brow lift in Houston, Texas are patients whose eyebrows have fallen below their normal position, which is slightly above the upper brow bone in women and at the upper brow bone in men. The plastic surgeons at The Oaks Plastic Surgery—Dr. Danielle Andry and Dr. Nandi Wijay—will evaluate your individual anatomy at the time of consultation to determine if you are a good candidate for this procedure and whether an open brow lift or endoscopic brow lift is the right choice for you. Who is not a good candidate for a Brow Lift in Houston, Texas? Patients who are actively smoking are at higher risk for wound healing complications after brow lift procedures. The plastic surgeons at The Oaks Plastic Surgery recommend that all their patients quit smoking prior to their plastic surgery procedures, and remain smoke-free for at least six weeks after their plastic surgery procedure. We are happy to assist all our plastic surgery patients who are interested in quitting smoking. Patients who are not in good health should speak with their medical doctor prior to undergoing any plastic surgery procedure to make sure they are healthy enough to undergo the procedure and recover well afterwards. 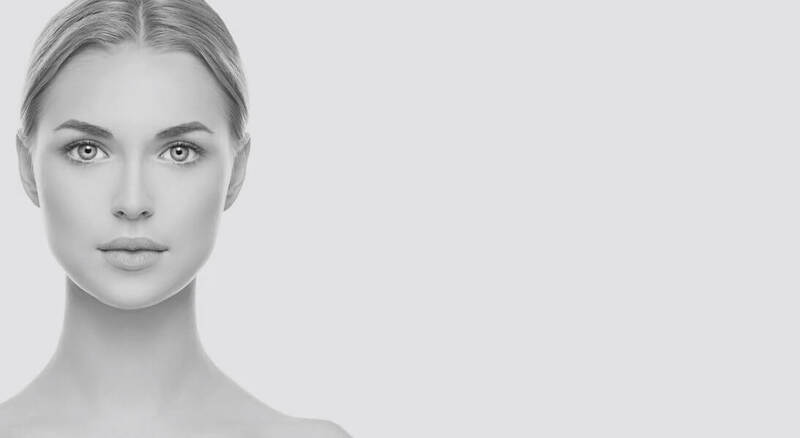 The health and wellbeing of our patients is our primary focus at The Oaks Plastic Surgery. What procedures are often performed along with a Brow Lift? Heavy, tired-appearing eyes may be the result of a lowered brow, excess upper eyelid skin or descent of the fat and other structures of the eyelid. A brow lift is often performed in conjunction with both an upper eyelid lift (blepharoplasty) and a lower eyelid lift (blepharoplasty). Some of our plastic surgery patients also undergo a facelift or neck lift together with their brow lift procedure. Additionally, patients interested in a brow lift may also benefit from Botox, filler or fat injections to help with the overall appearance of their brow and eyelid area. Patients may also benefit from chemical peels or generalized skin care. What do you want from a Brow Lift in Houston, Texas? The plastic surgeons at The Oaks Plastic Surgery seek to subtly rejuvenate your face, giving you a more youthful appearance without appearing over-tightened or overdone. You should look like you are refreshed and well-rested, not like you had surgery. What can you expect during your initial consultation for a Brow Lift in Houston, Texas? Perform a thorough examination, focusing on your individual anatomy. What can you expect on the day of your Brow Lift in Houston, Texas? On the day of your plastic surgery procedure, your plastic surgeon will meet you in the preoperative area to go over any last minute questions or concerns you may have. Dr. Danielle Andry or Dr. Nandi Wijay may make some preoperative markings and will perform extensive checks and attention to detail ensuring high quality care and safety. If you are undergoing general anesthesia, you will meet the anesthesiologist and their team as well as the members of our operative team. During the procedure, our Houston plastic surgeons pay meticulous attention to detail and work as a team to ensure a great result. Your family will be updated of your status periodically and will be able to talk with the plastic surgeon one-on-one after the procedure is completed. A brow lift procedure typically takes between 1 - 2 hours for the plastic surgery procedure with an additional hour for you to be transferred to the recovery room area and fully wake up from anesthesia. The plastic surgery operating room nurses will wash your hair after the procedure, and place you in post-surgical dressing. You may or may not have a drain after the procedure. If placed, this drain is usually removed the first day after your plastic surgery procedure. Our brow lift patients typically go home after surgery, or stay one night in the hospital or surgery center. What can you expect for recovery after Eyebrow Lift? On the first postoperative day, the plastic surgery staff or plastic surgeons at The Oaks Plastic Surgery will remove any post operative dressings and/or drains. Youthen will be able to shower and wash your hair. Pain after a brow lift procedure is modest and usually well-tolerated by our patients. The plastic surgeons at The Oaks Plastic Surgery want you to feel comfortable and employ a multi-modal pain medication regimen to decrease, or eliminate, the need for narcotic pain medications. Swelling and bruising are expected for the first 1 - 2 weeks after your brow lift surgery. The plastic surgeons at The Oaks Plastic Surgery recommend you refrain from heavy-lifting or strenuous activity for 2 - 4 weeks after surgery. You can usually return to work after 1 - 2 weeks as long as you are not performing strenuous activities. Although gravity continues to work as we age, a brow lift procedure sets back the clock, and most patients do not need to undergo an additional brow lift procedure for at least 10 years.